MARC KESSLER is the co-creator of the long running off-Broadway hit musical ALTAR BOYZ, winner of the Outer Critics Circle Award for Best Off-Broadway Musical 2005. For six years, Marc was a member of the tap dancing trio, the Manhattan Rhythm Kings. Highlights with the Kings include performing at the Kennedy Center, in the movie The Aviator, and off-Broadway with Tommy Tune in WHITE TIE AND TAILS. Recent acting credits include Harold in THE FULL MONTY at Stages St. Louis and James Wilson in 1776 at the Goodspeed Opera House. 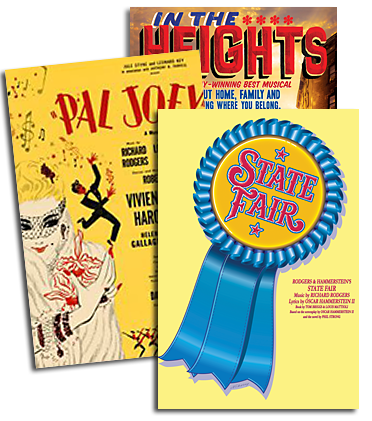 Other credits include the North Shore Music Theatre, Walnut Street Theatre, and Maine State Music Theatre. Marc is a graduate of the University of Michigan Musical Theatre Department.